It is pretty safe to say that to this point Google TV has been a flop, but Google hasn’t given up hope on the system just yet. Google has announced that a big update is coming to your local set top box, or Google TV enabled TV soon. It is too late for Google TV to make a good first impression, but so this update might be too little too late to win back the heart of customers. Google claims that it has addressed the four biggest areas of concern of Google TV users in this update. First it claims to have made navigation simpler, and easier to understand. Even though it is not being called Honeycomb, the look of the interface reminds us of Google’s tablet UI. The cluttered UI was one of the main reasons we thought Google TV could fail, and it is good to see that it is addressing the problem. Google is also improving searching on the system, which was another one of our biggest pet peeves. Not only is Google claiming to have improved how you can search for programs to watch, it also has thought of a way to help you search for something even if you don’t know what you want to search for. 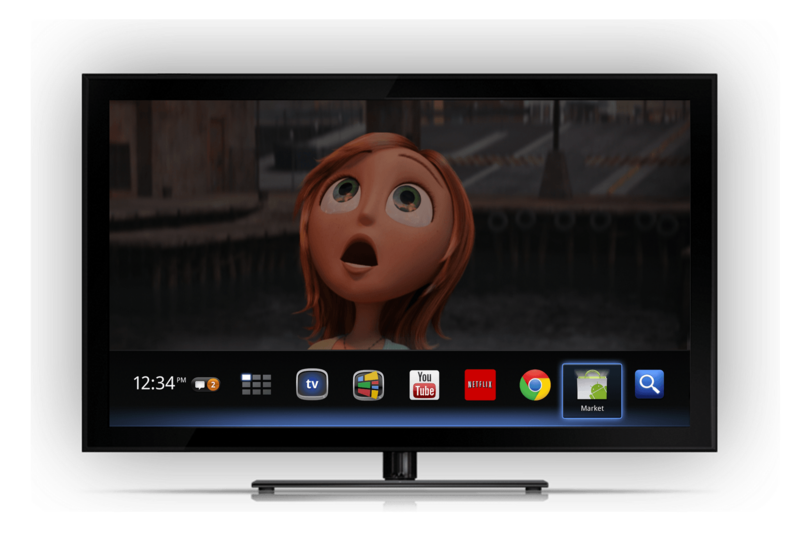 Google is also bringing Android apps to Google TV, and this sounds fun on paper. Who wouldn’t want to play some Angry Birds on the big screen? We are worried about how users will interact with these apps that are built for touch screens. Google is also improving how you view YouTube videos, and you find the videos you want to watch. If you are into watching videos of cats acting silly you can create a silly cat video channel so you can easily find those videos. The biggest issue that Google did not even mention in the announcement is content providers. All of the major TV networks have blocked Google TV from browsing its content, and that does not look to be changing. With content from major providers being blocked we can’t see Google TV gaining popularity. These changes might stop people from returning more devices than are being bought, but we don’t see these changes making the system overly popular without help from the major providers.